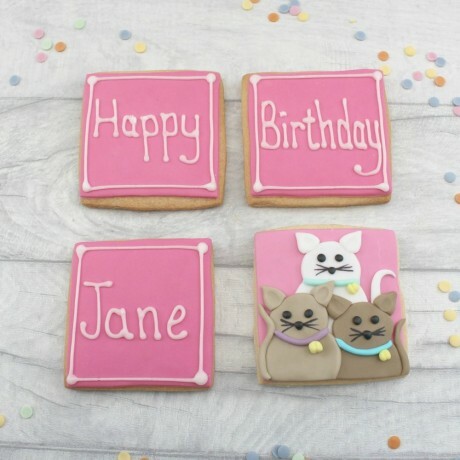 A delicious hand decorated cookie gift which you can personalise with a name and your choice of colour. Perfect as a birthday gift for the cat lover in your life! Each cookie is individually heat sealed and wrapped protective wrapping and a box to reach you in perfect condition.